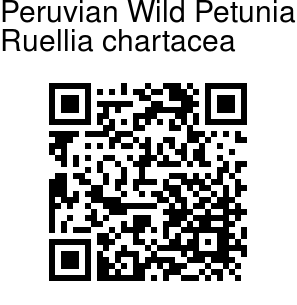 Peruvian Wild Petunia is an evergreen shrub, up-to 1.5-2 m tall, with thin brown greyish green stems and opposite elliptic, 15-18 cm long and 6-8 cm broad leaves, dark green above and pale green below. 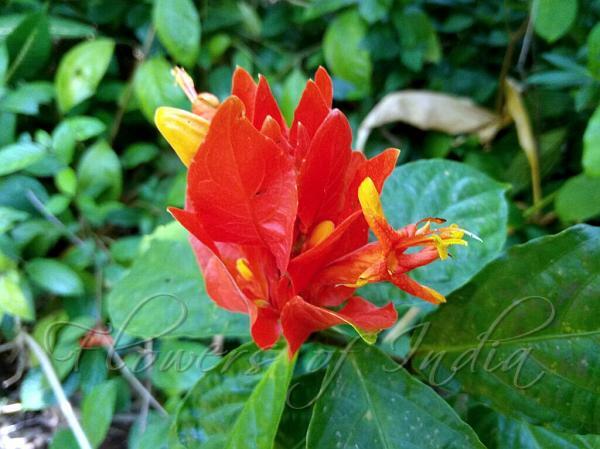 Terminal inflorescence are formed by showy bright red papery bracts, up-to about 9 cm long, which persist for many months in which interior are orange red tubular flowers, 5-6 cm long and about 3 cm broad, with a yellow throat. Peruvian Wild Petunia is native to Ecuador, Colombia, Brazil and Peru.